Summer is one of the busiest times of the year for travelling, socialising and enjoying what our country has to offer, but care still needs to be taken on our roads. 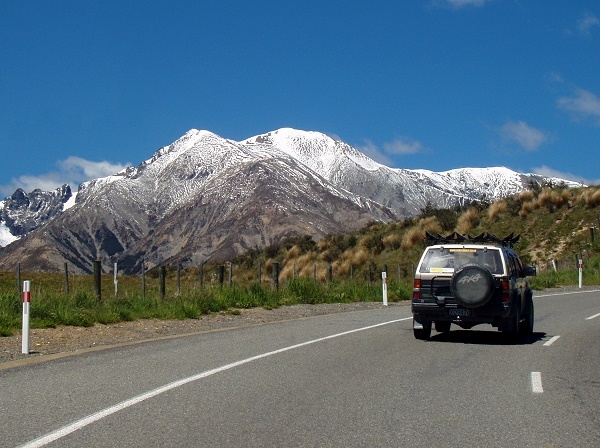 We often hear safety messages throughout winter about driving to the conditions, watching for frost and being careful in the rain; but the arrival of summer can lull us into a false sense of security. Warm days, hot sun and not a car on the road can make some drivers feel invincible. Statistics from the NZ Transport Agency show summer is our highest risk period for speed-relat ed crashes. Selwyn District Council Road Safety Coordinator Peter Daly says there’s a simple message for summer driving — less speed, less harm. Mr Daly says Canterbury is particularly susceptible to drivers speeding due to the number of long straight stretches of highway, and we can easily end up speeding – every driver needs to take responsibility for their journey and the speed they are doing. It is also important to show patience while driving long distances. Being stuck behind a truck or a slow driver may be frustrating, but you’re better off waiting than attempting a dangerous passing manoeuvre.